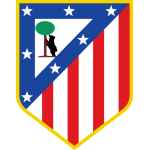 Atletico Madrid vs Villarreal predictions for this Sunday’s game in Spain’s La Liga as Diego Simeone’s men face their bogey team. Read on for our free betting tips and predictions. This Sunday’s match sees the 2nd placed team host a team that is currently in the drop-zone but if history is anything to go by, this one is not a foregone conclusion. Villarreal have a terrific record against Atletico Madrid, not losing any of the last 7 meetings between the sides. Rarely have they needed the points more than this though, with their very future in the Primera Division on the line. Villarreal picked up a vital win last weekend, seeing off Sevilla 3-0 at home, a result that suggests they may just have found some form in time to save themselves from a shock relegation. They are now unbeaten in 5 matches since the return of Javi Calleja and at least have a platform from which to build from. Atletico Madrid also come into this one on a real high. They’ve flattered to deceive for much of this season but pulled a huge performance out of the bag on Wednesday night, beating much fancied Juventus 2-0 in the Champions League. Diego Simeone will certainly back his side to defend that lead in Turin but will be less confident about their chances of catching Barcelona in La Liga, with the Catalans currently 7 points clear. It’s certainly hard to see many goals in this one. 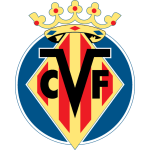 Villarreal haven’t been great defensively this term but they have tightened up of late with just 1 goal conceded in their last 4 matches. They’ve also only conceded 1 goal in the space of 4 league visits to Atletico Madrid, which is outstanding when you consider what a force Atleti have been over that period. It almost goes without saying now that Atletico Madrid have the best defensive record in La Liga again with just 0.71 goals per game conceded. They are only the 6th highest scorers though and it’s telling that it was their two centre-backs who delivered the goals to take down Juve, with Alvaro Morata yet to open his account since joining Atletico Madrid despite having two strikes chalked off by VAR. Overall backing Under 2.5 Goals looks a decent shout here and it’s a bet that has landed in 75% of Atletico Madrid’s league games this season. Backing Villarreal +1.0 Asian Handicap could also be worth a punt, chiefly because Villarreal’s record against Atleti is so good but also because they do look to have turned a bit of a corner in terms of this season. There is also the possibility of a slight European hangover for the hosts after such an intense display in midweek. Read our Asian Handicap Guide for more on this market. Atlético de Madrid are winless in their last seven league games versus Villarreal (D3 L4) – only against Barcelona (17 games) are they currently on a longer winless streak in the top-flight. Under Diego Simeone, only against Barcelona (five) and Real Madrid (four) have Atlético de Madrid lost more LaLiga home games than against Villarreal (two). Atlético de Madrid have scored at least one goal in each of their last 13 LaLiga home games (W9 D3 L1), their longest such run since November 2014 (16). Villarreal are winless in their last eight LaLiga away games (D4 L4), their worst streak in the competition since August 2015 (12). Atlético de Madrid have scored the joint-most goals from outside the box in LaLiga this season (8 – with Celta de Vigo), and are one of only two teams yet to concede a goal from outside the box (along with Real Madrid). Villarreal have conceded 10% of their goals from own goals in LaLiga this season (3/31); the highest ratio of any team. Antoine Griezmann’s goals for Atlético de Madrid have been worth 13 points in LaLiga this season (12 goals); a joint-high in the competition, alongside Girona’s Cristhian Stuani (13 goals). Santi Cazorla has been directly involved in eight goals in LaLiga this season (three goals and five assists), more than any other Villarreal player. Atlético de Madrid’s Álvaro Morata has failed to score in his last nine league games, his worst streak since January 2016 (14 games in Serie A for Juventus). Villarreal manager Javi Calleja is unbeaten in his three LaLiga games versus Atlético Madrid (W1 D2), with all three coming in charge of his current club.